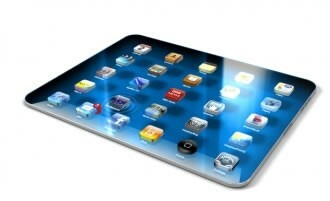 J.P. Morgan analyst Mark Moskowitz expects two new iPhones to launch this fall and the iPad 3 to be delayed until 2012. The speculation comes from conversations with industry insiders and was detailed in a note to clients, according to reports. As reported by CNN Money, the highly anticipated iPhone 5 is expected to be based on a lighter and thinner form factor and feature a larger display along with an 8MP camera. The handset will be GSM and CDMA capable, making it a “world-mode” smartphone, although it isn't expected to feature LTE connectivity. A second phone known as the iPhone 4-plus will launch alongside the iPhone 5 which will be based on the current-generation iPhone but will feature a few improvements. This handset could target the mainstream price point and focus on the China market, although it likely won’t be exclusive to that region. Moskowitz expects the current iPhone 4 to represent the low-end offering that is currently held by the 3GS. In the same note, the J.P. Morgan analyst does not expect to see an iPad 3 until sometime next year. This makes perfect sense as Apple has been dominating the tablet market while every other manufacturer has struggled heartily. HP discontinued their TouchPad tablet in August and RIM reported that only 200,000 BlackBerry PlayBooks shipped last quarter. By comparison, Apple sold 20.34 million iPhones and 9.25 million iPads in its most recent quarter. Other newcomes like the HTC Jetstream and its $700 price point with a two year contract will likely crash and burn as well. A lack of competition could also give Apple ample time to iron out any wrinkles with the iPad 3, such as the alleged poor Retina display yields that we heard about last month.